Monday through Friday, 8:30-5:00 ET. 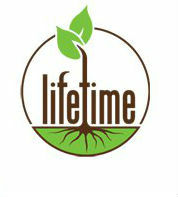 Lifetime Ministries has been teaching the essentials of the Christian Life since 1976. Beginning as a counseling ministry, Lifetime now ministers primarily through this website offering books, audio resources, video resources, articles, and devotionals. Lifetime is known for communicating the timeless treasures of God’s grace with personal transparency, simplicity, and practicality. Lifetime plays a invaluable role in the body of Christ by emphasizing two foundational truths that result in the believer’s living the Christian life consistently and authentically.